A taste combination to tickle your taste buds! 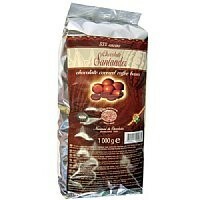 Rich Colombian coffee beans coated in semi‑sweet Santander chocolate. 53% cocoa. 1Kg/2.2lbs net wt.